Here's a classic collection of bridal jewels which we have recently crafted for our good friends. Her engagement ring has been handcrafted in 18ct White Gold, featuring a stunning 1.5ct Round Brilliant Cut Diamond with premium white Round Brilliant Cut Diamonds in a channel setting to compliment, as does her matching wedding band. His band is a cool and classic 5mm 'flat round' band with a comfort fit on the inside, with a high polish to finish. Here's a beautiful Art-Deco inspired piece that we crafted for one of our lovely interstate clients! It features a stunning 1.22ct Natural Round Brilliant Cut Aquamarine, handset in 18ct White Gold with premium white Round Brilliant Cut Diamonds to compliment. Here's a stunning remake we just did for one of our wonderful clients. We designed this bridal collection specifically for her, and created the jewels from some existing rings she no longer wore. 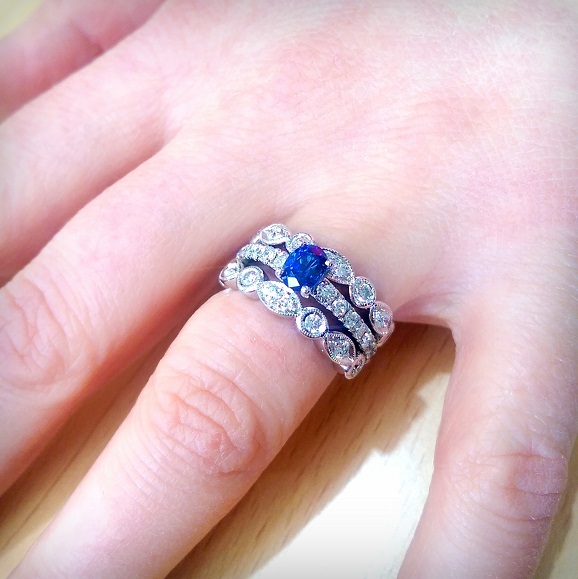 To complete the set, she selected this amazing Ceylon Sapphire from our stock. Congratulations to Ben & Michelle who got engaged over the weekend! 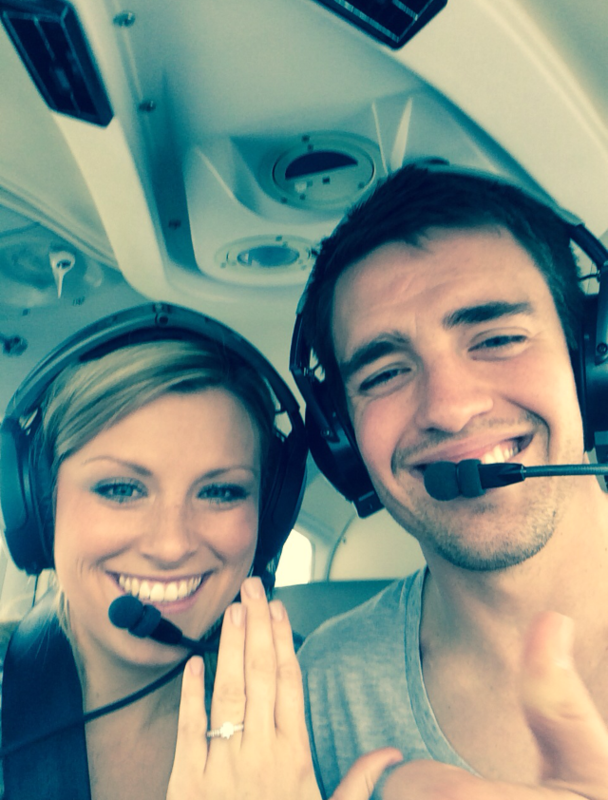 Ben is a pilot, and he proposed to Michelle mid-flight! Her Diamond Engagement Ring features a stunning Round Brilliant Cut Diamond in the centre, with individually handset Round Brilliant Cut Diamonds in a grain setting. Timeless and Classic! Congratulations Anthony and Jamie on your proposal! The high school sweethearts first fell in love in year 8, we are deeply honored to share this memorable moment with you. 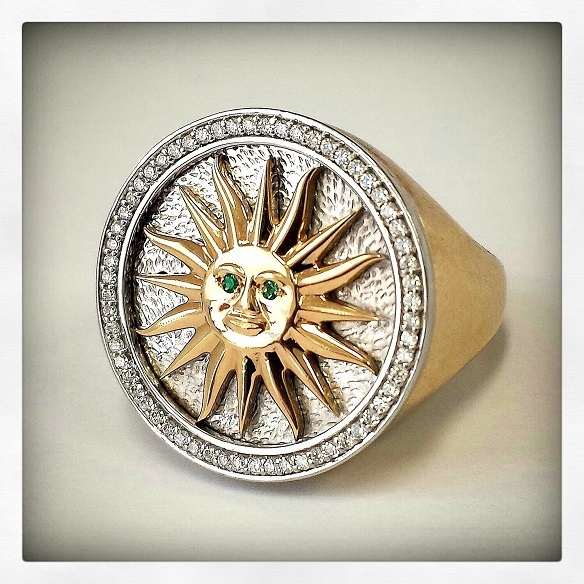 Regan's ring is handcrafted in 18ct White Gold, and features a unique Green Sapphire in a bezel setting. Rachel's ring is also handcrafted in 18ct White Gold, and features a Sandblasted finish. Buying Yellow Diamonds in Melbourne: Here Are 3 essential tips to help you. Yellow diamonds, which were earlier reserved for royalties, or worse considered as low quality substitutes for white diamonds, have now become incredibly popular and highly sought after in modern times. According to Melbourne jewellers, the ever rising prices of white diamonds and the increasing desire of colored diamonds, has given a huge boost to yellow diamond sales. If you’re planning to buy yellow diamonds for your engagement ring in Melbourne, here are a few things to assist you along your journey. Whenever people buy diamonds, the ‘sparkle’ is the biggest consideration, who often choose the round cut specifically for this reason. But why it is that we never see yellow diamonds cut round? 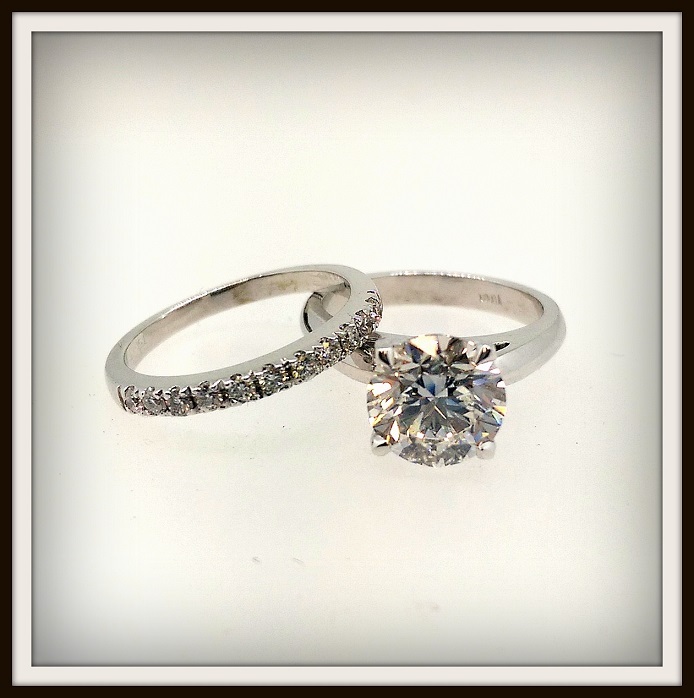 The short answer is that the radiant and cushion cut are known to show much better color than rounds. This means a fancy yellow diamond will not look as yellow in a round as it would in other shapes. Featuring a 2ct Natural Colombian Emerald set in 18ct Rose Gold, with premium Round Brilliant Cut Diamonds in a micro pave setting, individually handset in 18ct White Gold. With it's defined geometric lines following the natural shape of the Emerald, it makes it a truly unique piece. 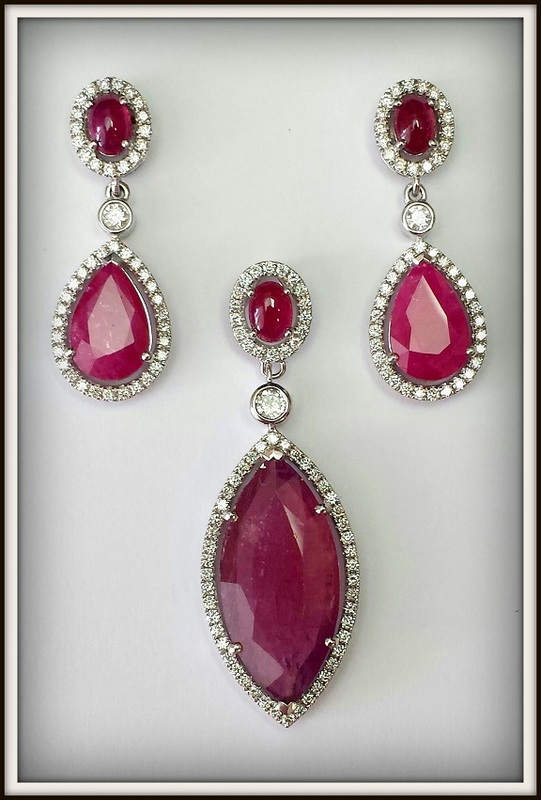 Here's another classic example of a timeless collection of bridal jewels that we have recently crafted for someone. The central is a 2.50ct Round Brilliant Cut Diamond, carefully handcrafted in 18ct White Gold. The matching band features rare white Round Brilliant Cuts to compliment the central Diamond. The weight of a diamond is measured in carats. The bigger the diamond, generally the more pricey it will be. Here’s a smart idea to keep in mind when you’re on the hunt: Let’s say you’ve always wanted a 2ct Diamond. First establish: ‘Do I want the look of a 2ct Diamond, or do I want to tell everyone I have a 2ct Diamond?’ If the look is more important to you, you can opt for a 1.8-1.9ct with excellent proportions that will help it look like a 2ct Diamond, without paying the premium. This will save you a bundle, and applies to other popular carat weights too. Please feel free to ask us any questions about this too. The color of a diamond is measured by how close it comes to being white. The color of a diamond is rated alphabetically - D, E, and F being higher on the scale and Z being lowest. Colorless diamonds are the most expensive because they allow the greatest reflection of light and give maximum brilliance. Grades like H, I and J may have less shimmer, but they will still look good, and the price can come down by a whopping 25-30%. Diamonds have blemishes inside and outside, which may impact on their clarity. GIA, a world authority on diamonds has prepared an 11 grade scale to measure the clarity. On this scale, F stands for “Flawless” and you only find the rarest of diamonds meeting this criterion. You may compromise on any of the above C’s, but not with the cut. It is the cut which gives the diamond a brilliant sparkle. From the GIA scale for cut, opt for “excellent” or “very good”. Opting for “good” also means a lack of luster in the diamond, but of course, a big money saver. The only instance where this doesn’t apply is when it comes to natural Yellow Diamonds. You can opt for a ‘good’ cut with them, as the even distribution of Colour is what’s most important. I hope this helps you along your journey, and if you have any thoughts or questions, please feel free to contact us! Timeless bridal jewels lovingly handcrafted in our premium White Gold. Her Engagement Ring features a stunning 1.15ct Emerald Cut Diamond, with premium white Diamonds on the shoulders, and on the Wedding Band to match. This classic Gents band is 6mm in width, polished with a Comfort Fit to finish. An emerald engagement ring is a semblance of confidence and prestige. An emerald will look gorgeous on brides who are strong, self-assured and yet like things simple. 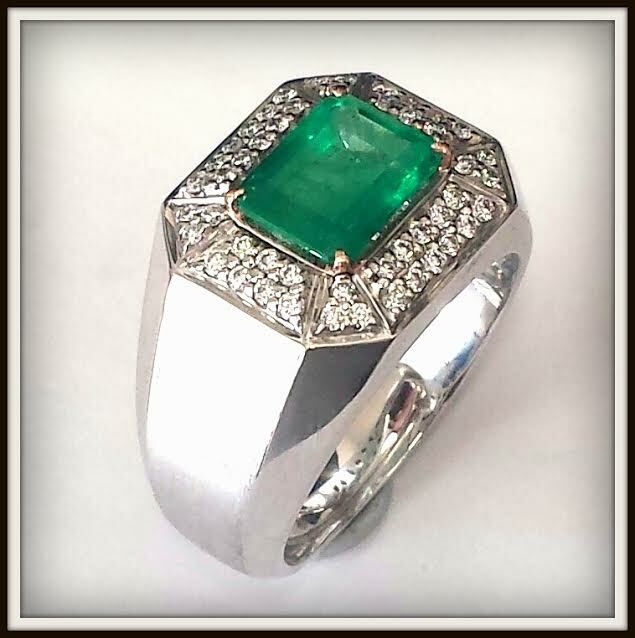 Anyone who considers themselves to be more shy and demure seems to not feel as comfortable with emerald jewellery. 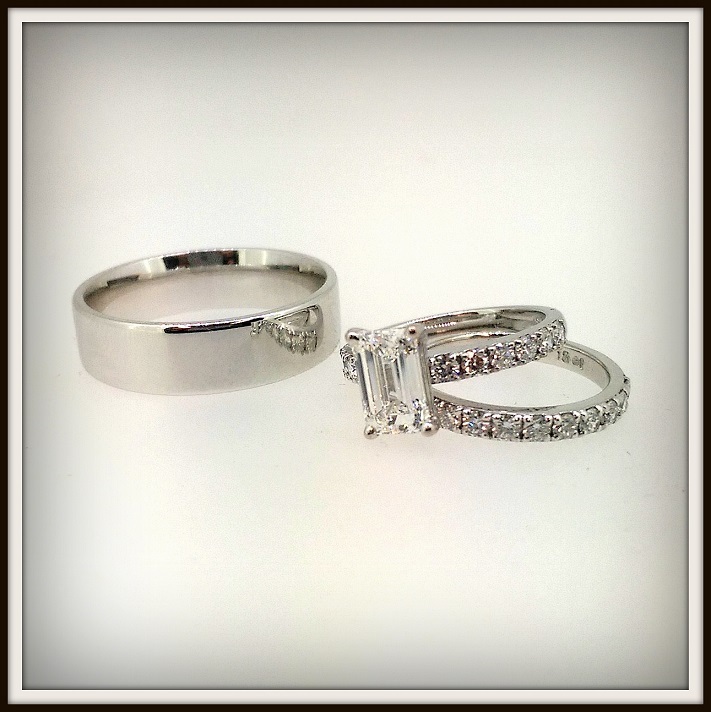 Unlike the traditional Round Brilliant Cut Diamond, the Emerald Cut is not associated with sparkle and luster. Consider this option only if your bride prefers boldness and elegance over loud sparkle. Every Emerald Cut Diamond has anywhere between 50 to 80 facets that adorn a step cut pattern. Because its crown and pavilion are shallow, the Emerald will not exude a great luster. Claw: A four claw setting is ideal as it gives maximum light and exposure to the Emerald Cut, helping in bringing out its natural beauty. Pave: A Pave setting will add extra bling over the ring and will not contrast as well with an Emerald. Such a setting is more ideal for Round Brilliant Cuts, Princess Cuts, Cushion Cuts etc. 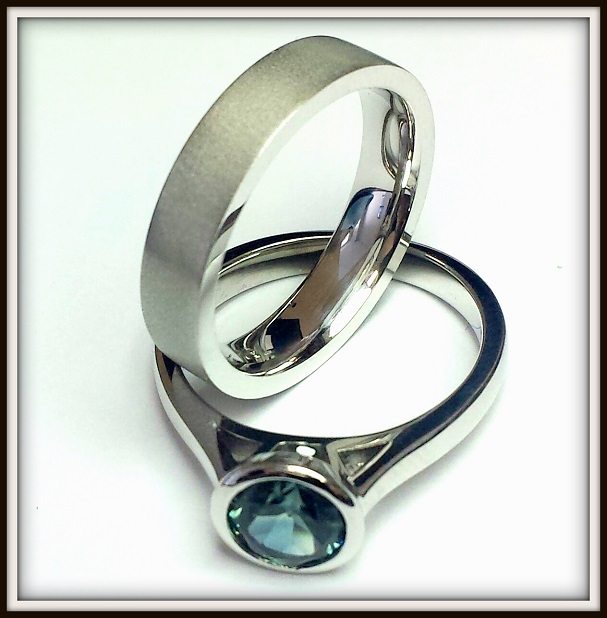 Three stone: A popular option for the Emerald is the three stone setting. The most timeless, classic diamond rings will comprise of two smaller Emerald cut diamonds perfectly in proportion on either side of the centre Emerald. Lastly, if you’re price conscious, but of course still want something precious for the bride to be, an Emerald is a fantastic option as it is one of the most affordable diamond engagement ring cuts that are available. Please feel free to leave a comment or contact us anytime with any questions! Regardless of whether a man is chivalrous or a beast, he can win the heart of a woman he desires with diamonds. Diamonds are gorgeous, expensive, and for many of us a once in a lifetime investment. Even in societies where bridal wealth is frowned upon, a woman will not be able to resist touching and enjoying the looks of the precious stone... Women are biologically attracted to bright, shiny things! Girls always love being spoilt. If a man is willing to forgo a respectable amount of his salary solely on a diamond engagement ring, it shows he’s serious about his intentions. There may be other means of showing your love, but we bet there isn’t a better way of proving it. If your girl has a normal circle of girl friends, be assured they’ll judge you by your purchasing power. This is when she’ll be very proud of flaunting her diamond ring to her friends and also make them envious of your love and commitment for her. Any man presenting his girl with a unique sapphire or emerald engagement ring signifies that he sees her as part of his future. The presentation of a personally selected diamond is also a symbolic action of his feelings and intentions, the diamond is a symbol of their journey together, to last forever. The hype about diamonds being a girl’s best friend emerged from the historical advertising campaign by DeBeer’s in the 1930s. They created diamonds to be the symbol of eternal love. Ever since then, women have felt more worthy of receiving diamond rings. Let’s be honest here, if a woman isn’t interested in diamonds, she’ll certainly want something equally expensive, like Emeralds or Sapphires! She's been around for over a century, and still to this day the Solitaire Diamond Ring has been melting Women's hearts and giving Gents some serious brownie points... 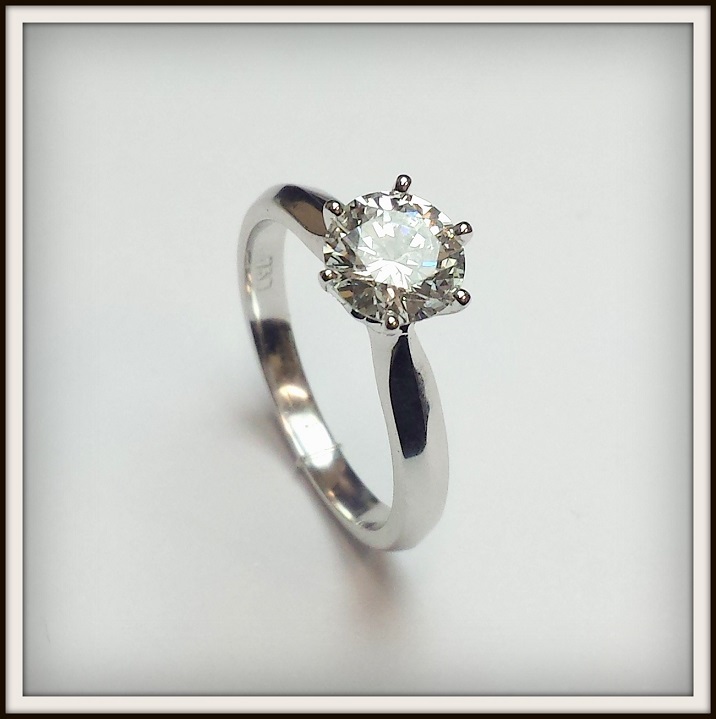 Here's a classic example of a stunning 1ct Solitaire we just crafted for one of our clients. 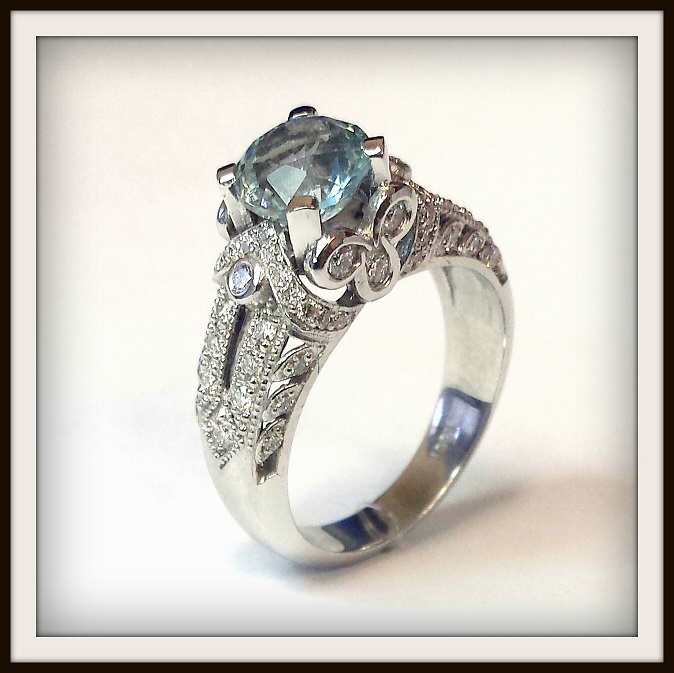 Here's a custom family heirloom piece we have just created. Handcrafted in Solid Gold, featuring the Uruguayan Sun, Brilliant Cut Colombian Emeralds and Premium White Brilliant Cut Diamonds. A special piece we are very proud of! You've finally found who you believe is the “one” for you. You may have asked a family member for their approval in marriage and may have even planned the perfect proposal. Nice work! But hey, what about the engagement ring? 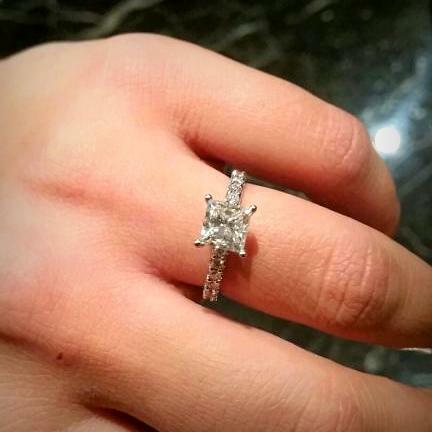 Finding the perfect engagement ring in Melbourne can be an overwhelming task. After all, there’s tremendous pressure on this specific purchase. It’s the ultimate symbol of love for your partner, and also a token of your willingness to take this relationship to the next level. Plus, you cannot help but consider that your fiancé will be flaunting off their engagement ring in front of family and friends. For many people, engagement rings, whether diamond rings or sapphire rings for their love will be their first experience in the world of jewellery. So, to help you avoid getting intimidated with new terms and concepts from jewellery stores out there, mentioned below is the ultimate guide to help you purchase an engagement ring in Melbourne to help make your partner will flip over. Well as they say, follow the standard rule of saving your three month’s salary. However this old rule doesn't really apply these days, whatever you feel you wish to allocate towards your special purchase, there is something out there for you… There’s no need to spend beyond your means. The top three diamond certification bodies are GIA/HRD/IGI. Diamonds ( loose diamonds in retail or wholesale, for example ) sold under any other certification body may cost substantially less but they may not be respected in the Diamond industry. Also, they may not be as strict in their grading standards. 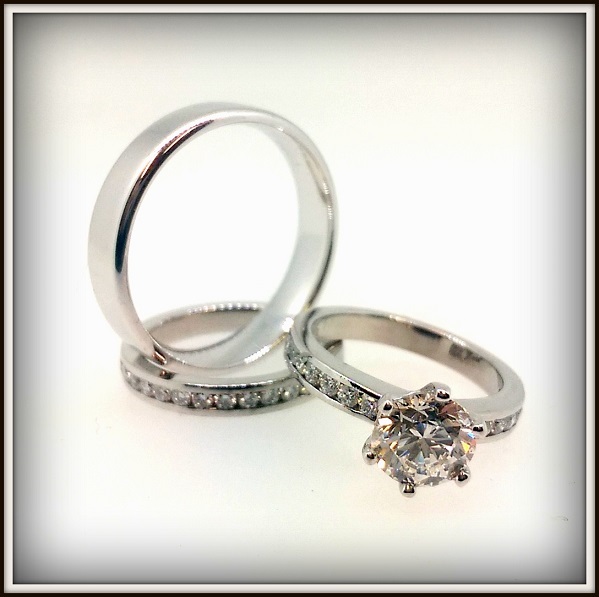 We mainly deal GIA certified Diamonds, as their grading system is of a higher standard. It’s always advisable to be aware of the Jewellery houses and wholesale jewellers in Melbourne that sell Diamonds under their own in-house certification as these may not be independent. So, don’t forget to check the certificates and ask the question before buying your dream engagement ring. The four vital C’s – Cut, Color, Carat and Clarity – each affect the price of the diamond and should therefore be considered individually. According to the experts, Cut is the most important of all the four, as it brings out the fire and brilliance of the Diamond. A great cut can provide flexibility on the other C’s, making color and clarity less desirable. In fact, even the stones graded Sl1 (seven levels below flawless) can seem perfect to naked eye if the Diamond is cut exceptionally well, or if the inclusions are in the ‘right spot’. Respected jewellery artisans believe that the overall ring setting also helps in concealing many Diamond imperfections. After the four C’s, experts always recommend considering other essential factors such as fluorescence. It generally refers to reaction between Diamond and Ultra Violet (UV) light. Fluorescence can make a diamond appear milky on a sunny day or blue under artificial UV light. In fact, there is a scale of fluorescence – nil, slight/faint, medium, strong and very strong. Experts recommend that you should always prefer Diamond with nil to medium as prices generally drop with stronger fluorescence. Round Diamonds are the most popular choice for engagement rings and this is also one of the reasons they have a higher price compared to other shapes. You can save significantly on your dream engagement ring by opting for alternative shapes, such as Cushion Cuts, Emerald Cuts in Emerald Jewellery or famous Oval and Pear Shape designs in Sapphire Jewellery. White Gold is slightly lighter than Platinum, and has a great memory. Meaning it can take a few good knocks and still bounce back to its original shape… Platinum on the other hand is heavier, and malleable. After a few knocks, you need to work the metal a little more to bring it back to its original shape. Platinum’s colour turns to a more dull gun-metal grey within a very short duration of its wear. Although some jewellers promote Platinum over White Gold, this has nothing to do with its properties. Platinum being the most pure metal, makes it much more expensive than Gold. You’ll find a majority of jewellers and designers prefer White Gold as their choice for engagement rings, and dress pieces. Please feel free to ask us about the premium mix of White Gold that we work with too. When it comes to purchasing an ideal engagement ring in Melbourne or elsewhere, endless choices and possibilities can sometimes make the whole exercise confusing and difficult. But you can narrow down your search by brushing up your knowledge on some of the most popular ring styles. Let’s take a look at some! A widely accepted timeless and classic engagement ring style, the Solitaire is an elegant and slender band featuring a single and distinguished centre Diamond. Solitaire is a Latin word, where ‘sol’ means single, thus making it symbolic reflection of ‘one true love’. No wonder the Solitaire Engagement Ring is a favorite amongst many. There’s an abundance of fancy shapes in Coloured Gemstones, or Premium Diamonds to suit the most individual and particular of tastes. A classic yet distinctive piece would make for one perfect engagement ring, or celebration jewel. You can also opt for the second most famous shape, the Princess Cut; either in Emerald Jewellery or Sapphire Jewellery. Halo rings have been gaining widespread popularity amongst the bride’s-to-be for quite some time now. For they help lift the brilliance and presence of your central stone and also give it a timeless, feminine touch. In fact, many wholesale diamond sellers in Melbourne are largely promoting the sought-after look of the Halo engagement ring styles, as many women instantly fall in love with the idea of getting a slightly bigger look out of their jewel. Featuring a beautiful centre stone, the classic and gorgeous Halo Rings are artfully accented featuring individually hand set smaller Diamonds. When on your journey for rings or diamonds in Melbourne, make sure to shop around, and get a feel for whom best understands you, and what is important to you. Please feel free to contact us with any questions or ideas, we would love to assist you with your memorable moment. Please feel free to contact us to arrange a viewing. OK, we are a little biast when it comes to Natural Colombian Emeralds, we love Sofia Vergara not only for her cheeky Colombian character played in Modern Family, but for her gracious style and grace. Here she is pictured at the 2013 CFDA awards wearing Emerald Green HERVÉ L LEROUX COUTURE matched stylishly with a Diamond and Emerald Collier by Lorraine Schwartz jewels in New York. Could Tanzanite be the next 'it' stone? 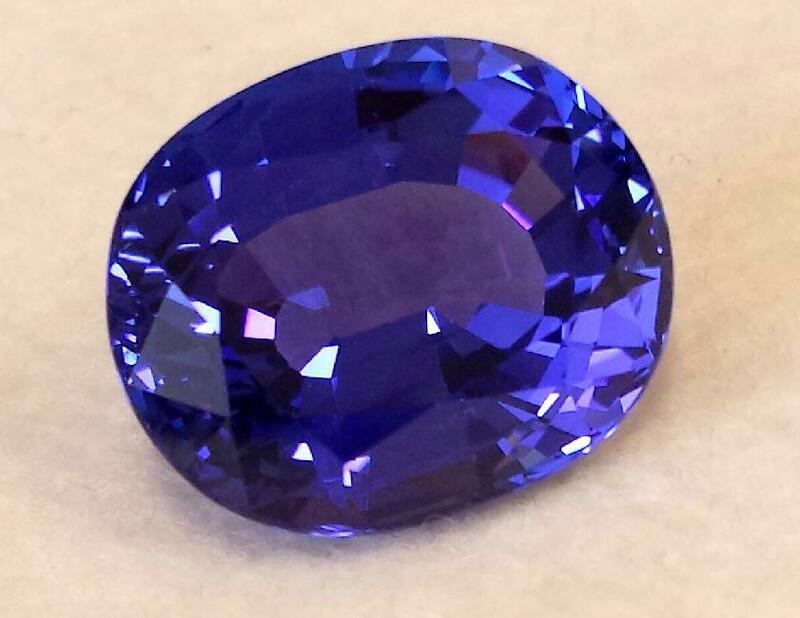 We have our hands on a rare Natural Tanzanite weighing over 26 carats... Yes 26carat! Its definitely a gem worth admiring, the size resembles that of a Royal Jewel, showing a close to perfect saturation of the Blue that Tanzanite is well known for. Viewing by appointment only.